We would like to say massive congratulations to our learner of the month for November – Rebecca Jeffery. Becky has been a star student and after passing her level 1 Maths and English she was happy for us to stretch and challenge her by putting her in for level 2 functional skills, she passed English reading and writing last week and she is really happy and so is her employer. Becky is glad that all her hard work is paying off; she is extremely pleased with her functional skills as she didn’t get to complete her school qualifications. It makes Becky feel a great deal of appreciation that her dishes are picked for all the school menus. 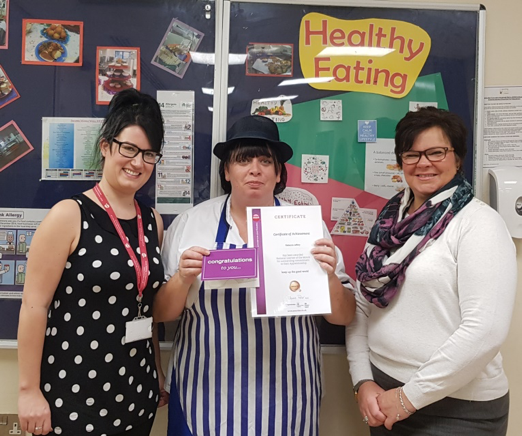 Lisa Tottle now has a new member in the cook’s team to trial new dishes and Becky has been successful time and time again in creating dishes that the children enjoy and that meet all the standards of the government guidelines and SSK. 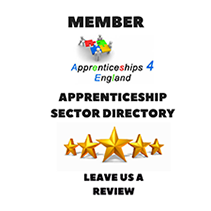 Also by Becky taking on the Level 2 functional skills now she is preparing herself to move on to Level 3 with more ease, giving the company another fully qualified member of staff who will grow with the business.